Beautifully presented house in a fantastic location in the peaceful area of Casbah, just metres from Playa Migjorn. The house has been completely renovated, redecorated and restyled to an extremely high standard. Large terrace leading to living room. Bedroom 2, with two single beds (which can be made up as a double), two 'pull out' style beds - (one can be moved to the living room to suit sleeping arrangements). Bedroom 2 is in a separate annex, reached through a separate external door to the main living area. 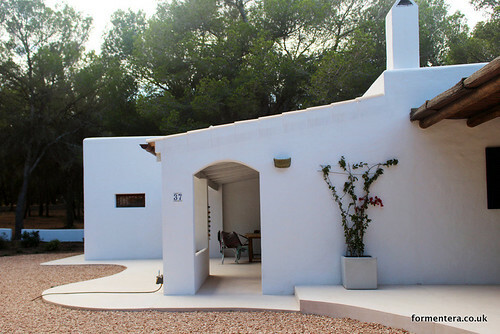 The property also has the use of a communal pool and facilities at the excellent Casbah Restaurant close to the house. Any guest staying here will greatly enjoy the house and the peace and tranquility of the surrounding area. Please request price and information for 7 people.